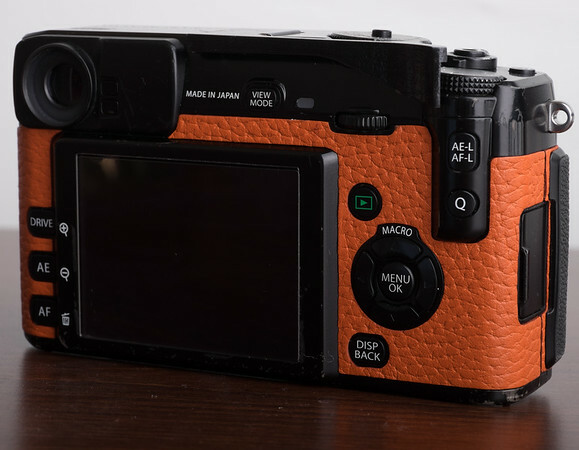 As an X-Photographer I was invited by Fujifilm UK to have my X-Pro1 re-skinned in their range of X-Signature colours. As far as I’m aware this is a service only currently available in the UK. 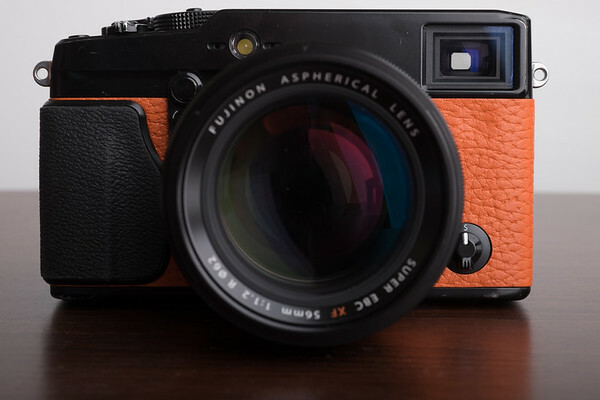 I was also keen to get my X100S re-skinned at the same time as a matching pair so cheekily asked if I could have my X100S done as well! I went back and forth over the colours, the orange really appealed to me right away but I wasn’t really sure if I was ready for an orange camera! I initially asked for both of them to be done in the red lizard, which I think works well with the black finish of both cameras, but the red wasn’t in stock and available when I went down to Fuji HQ to have them done. However, now I’ve had them both done I’m so glad it wasn’t! In the end as you can see, I opted for and orange X-Pro1 and a dark blue lizard X100S. Why orange? Well, why not! If you’re going to do it, you might as well do it to the max!! Having had it done it has really given my X-Pro1 a new lease of life and I’m loving shooting with it more than ever these days. It makes for a fun ice breaker with clients and models. Because of all the new releases my X-Pro1 had, I admit, been put on the back burner. Since having it skinned and I started shooting with it more again, it really has reminded me why I love this particular camera so much and I now take it out with me more than any other X-Series. The orange finish is fractionally thicker than the original skin and gives a slightly soft spongy feel to the camera which I really like, but doesn’t fit as flush to the body parts as the original finish. The Lizard finish is the same thickness as the original skin and the finish does feel more like what you’d expect to find out of the box running flush with the lines of the camera. Both types of skins have their appeal and I can’t stay that this bothers me at all. 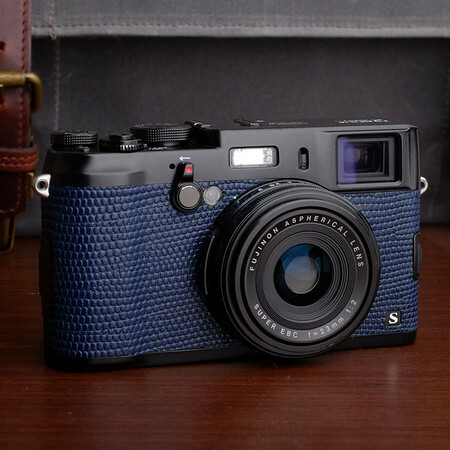 The X100S also looks fabulous in its new colour scheme and the lizard skin has more texture and feels like it gives a better grip in the hand. It’s a subtle deep blue that compliments the camera well. 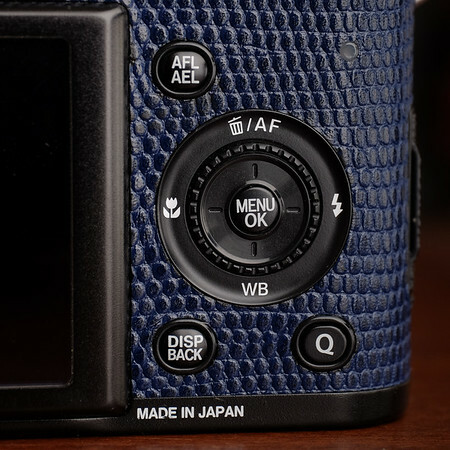 (Fujifilm – note that the images are the wrong way around on the X-Signature website between blue crinkle and blue lizard shots!). I opted for lizard because it gave a different look to the original black textured finish. The images on the X-Signature website do not do the colours any justice. The orange looks far too bright where it’s actually a nice classic “burnt orange” as the colour name actually states. Think Hermes! 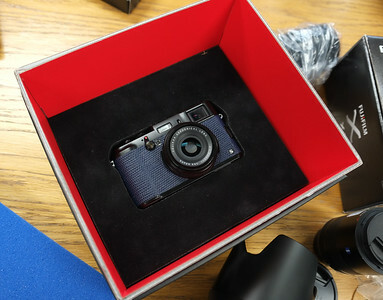 Personally I think the choice of colours are a little odd with some of the really nice classic tan and deep red leather looks available for the consumer-focussed X-M1 and X10/X20 cameras, that I think would prove to be more popular on the professional cameras, X-Pro1 and X100S, giving them a more vintage appeal. Hopefully they will consider providing a wider range of colours for the professional level cameras in the future. 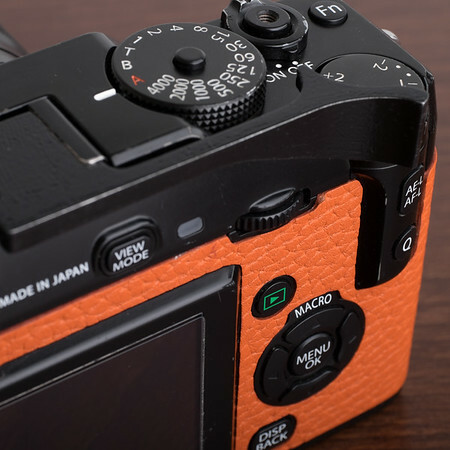 The fit and finish of the product is top quality and they have been executed very well by the service team and you would not think that they weren’t off-the-shelf products from Fujifilm direct. 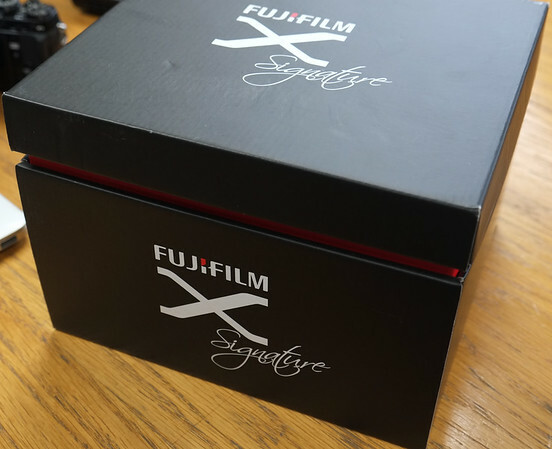 The price initially seems high for the re-skin product at £129.99, but what isn’t clear is that delivery both ways is included in the price (Fujifilm UK send pre-paid Special Delivery envelope with included protective box to collect your camera) along with a very high quality special X-Signature box. What I think perhaps adds most value is that the camera also gets a service from their technical service centre along with an official service sheet showing what has been checked and anything that was done (if necessary), which is worth at least half of the cost of the re-skin on it’s own in my opinion – just a professional sensor clean can cost at least £30, if not more. If you’re interested in the service then you can find out more and order your skin at the Fujifilm UK Signature website. 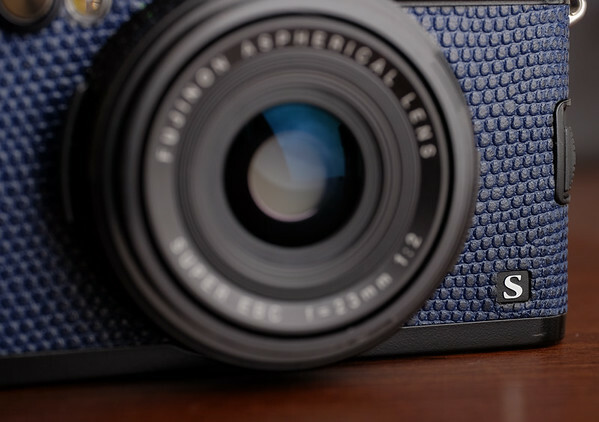 They are available for the X-Pro1, X-E1, X-E2, X100, X100S, X-M1, X10 and X20.